Episode #265: Celebrating Superman's 75th Anniversary: Superman In The 1960's! EPISODE NOTE: Because this week is special in Superman history, the regularly scheduled episode will be postponed until next week. 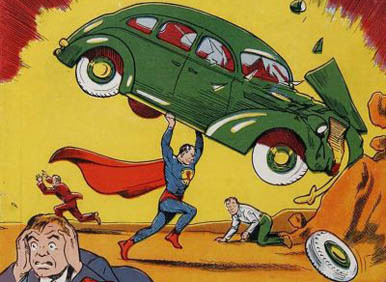 According to the Grand Comic Book Database and other sources, ACTION COMICS No. 1 was published on April 18, 1938. Mike's Amazing World Of DC Comics puts the date around May 3, 1938. Since this podcast is currently featuring the silver age adventures of Superman, it seems only natural to feature Superman during the decade of the 1960's. In this episode I briefly explore what was unique about Superman stories during this decade, as well as the development of the Superman family of characters. 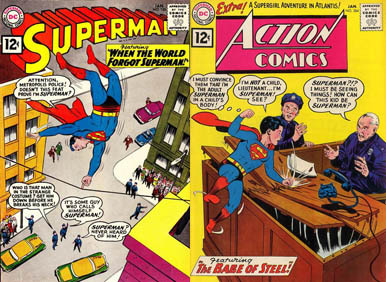 The Silver Age Comics Blog post for March 21, 2009 has some interesting numbers on the popularity of Superman comic book titles during the early 1960's. Thanks to Professor Alan for his e-mail about my coverage of MegaCon, as well as Scott Gardner on his Two True Freaks MegaCon episode. Thanks also go to Chuck O'Donnell for his complimentary e-mail. He has written an article about former DC Comics and Superman writer Otto Binder. 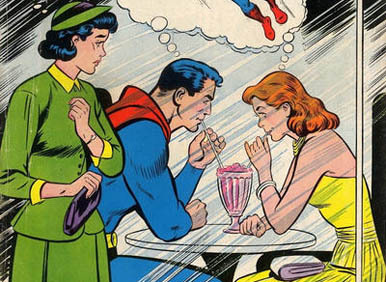 Next Episode: SUPERMAN FAMILY COMIC BOOK COVER DATED FEBRUARY 1959: SUPERMAN'S GIRL FRIEND LOIS LANE 7! In 2 Weeks: GIANT SUPERMAN ANNUAL 4!